Mega family’s most awaited entertainer Khaidi No 150 is definitely special just not for mega fans, Telugu film fraternity and the entire mega family too. We already heard about Mega Powerstar Ram Charan Tej’s song appearance in the film. Now the latest buzz is that Stylish star Allu Arjun will be seen in a cameo in the movie. 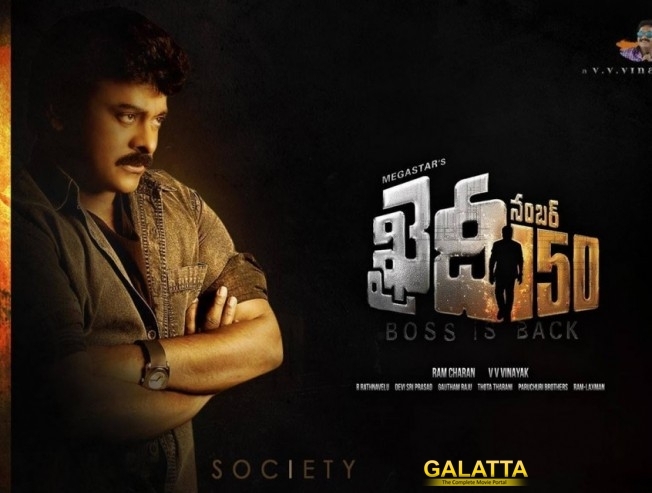 Chiru himself confirmed the news in a recent interview. Bunny will be seen during the starting title rolling of the film. Kajal Aggarwal is cast opposite Chiru in this much awaited entertainer. Mega Powerstar Ram Charan Tej is producing his father’s 150th project under the banner Konidela Productions. The much awaited film will be releasing worldwide on 11th Jan 2017. >>Khaidi No 150's number game on! >>Khaidi No 150 in climax stage! >> #Chiranjeevi, #Mahesh Babu doing cameos in #Rajini's #2.0?